Once you turn off the quiet, tree-lined street and onto our community adorned with picket fencing and sprawling green spaces, you know that you are home. Enclave at Highland Ridge near Columbus State University in Columbus, GA, helps you escape the ordinary with community amenities that are anything but typical. Take advantage of our unique resident clubhouse, fitted with billiards and a social lounge. The swimming pool is lined with lounge chairs and cabanas, just begging you to stretch out with a glass of sweet tea. From the convenient onsite dog park to the state-of-the-art fitness center, no detail has been left out of our luxury apartment community. 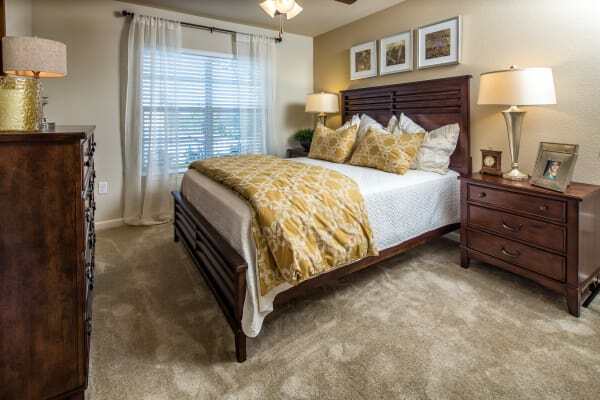 We have carefully added quality apartment features to each of our one, two, and three bedroom floor plans to better enhance your daily life. Gourmet kitchens are detailed by gorgeous, espresso-colored custom cabinetry and granite-style countertops, creating the perfect backdrop for hosting a dinner party with friends. Other top-tier extras include spacious walk-in closets, full-sized washer and dryers, and private balconies or patios. 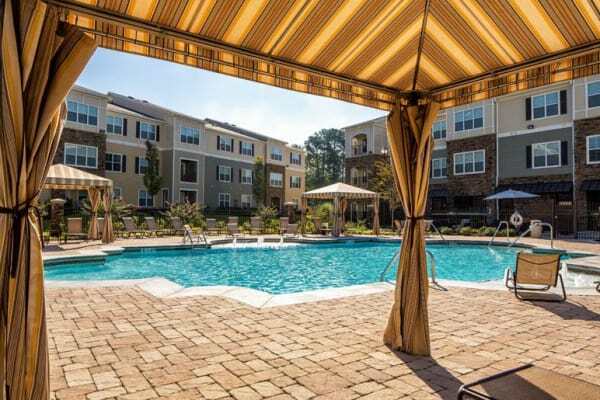 Take a look at the Floor Plans page to see our available one, two, and three bedroom apartments in Columbus, GA. Once you find your favorite floor plan, call our friendly leasing staff to schedule a personalized tour of our community.